With Bluetooth continuing to be extremely relevant for short distance communications, it sure pays to have the thing up and running on all of your devices. 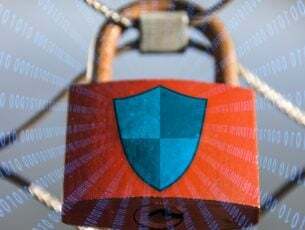 However, that often has not been the case with Windows 10 as many users encountered Bluetooth connectivity issues. 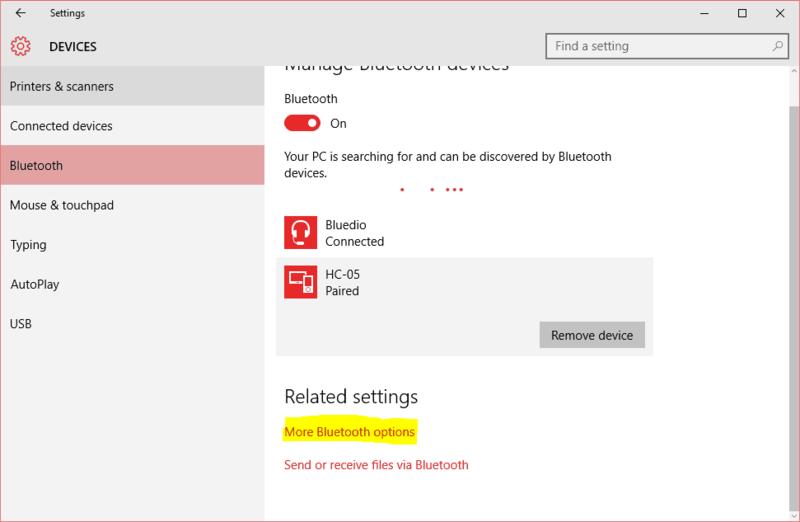 Here are some of the most common Bluetooth issues on Window 10, along with ways to get past them. One of the most common causes for this problem is that the Bluetooth drivers in your device might be outdated and you need to install the latest version. 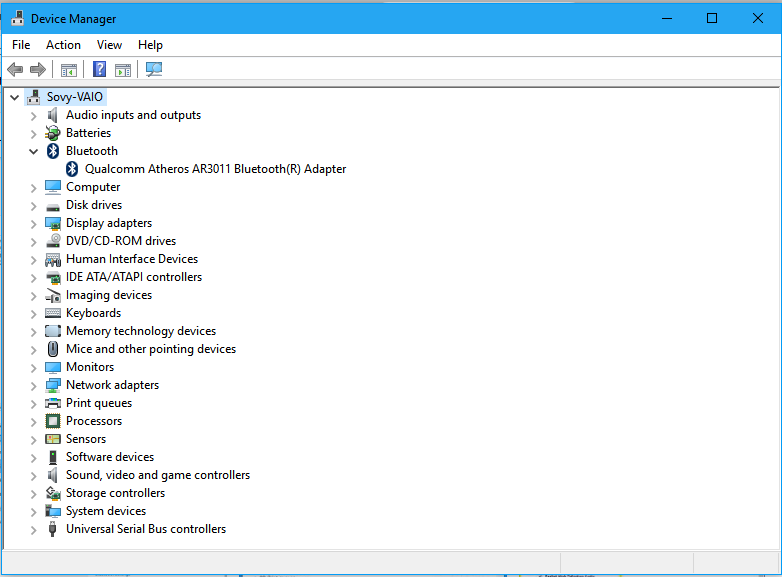 To do this open Device Manager (Press Windows + X and choose Device Manager) and locate Bluetooth from the list and click on it. Locate the specific Bluetooth adapter installed in your system. Right click on it and click ‘Properties’. Click on the ‘Driver’ tab and then ‘Update Driver’. Once that is done, you should be able to use Bluetooth feature on your laptop as desired. This happens if the Bluetooth driver is not compatible with Windows 10. In this case, launch Device Manager again (you can just type Device Manager in the search box in taskbar and select from the options given) and expand ‘Other Devices’. Right click or long press on ‘Unknown device’ and select Properties from the menu that appears. Next, select the ‘Details’ tab followed by Hardware IDs from the Property section. This will show the ID (an alphanumeric value) of the Bluetooth radio that your device comes with. Copy it by right clicking or long pressing on it and do an online search to find more info about the Bluetooth radio in your device. Try locating the official site of the Bluetooth radio manufacturer and download the latest drivers from there that is compatible with Windows 10. This pertains to that scenario when Device Manager is neither showing Bluetooth nor Other Devices. Things would be a little more tedious here as you need to expand every device under Device Manager that has the remotest possibility of hosting Bluetooth under them. Once you have successfully located the Bluetooth device as well as well as its Parent device, try updating the driver. This can be done either by right clicking/long pressing on the parent device and selecting ‘Update driver’ from the menu shown, followed by ‘Search automatically for updated driver software’. If this does not work, try uninstalling the device. Right click/ long press the device and select Uninstall device. Restart the PC. This will make Windows to make a fresh installation of the default device driver. The other option for you will be to locate the manufacturer’s website and download the latest drivers. Next right click/long press the parent device and select Update driver > Browse my computer for driver software > manually select the driver you downloaded. This happens to be another common issue with Windows 10 devices, and is more prevalent if the device is using a customized Bluetooth profile. In that case, just pair the Bluetooth device again and you will be good to go. We hope that the solutions listed above helped you fixed the Bluetooth issues that you encountered. If you’ve come across other workarounds to fix this problem, you can list the troubleshooting steps in the comments section below.